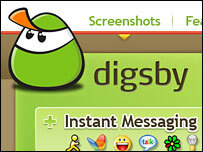 Digsby.com brings together social networking sites and integrates instant messaging, e-mail and social network accounts into one easy-to-use interface. When a friend logs on you can see which service they are using, chat and interact from this single downloadable client. There is a warning when new messages arrive at any of your e-mail or social networking accounts, and you can read a summary of unread messages. Once it is all set up, you can log in on any computer where the software is installed and have instant access to all your accounts. This site about stately residences around Europe is a must for architecture and history fans alike - it has pictures and descriptive passages of text on this period. 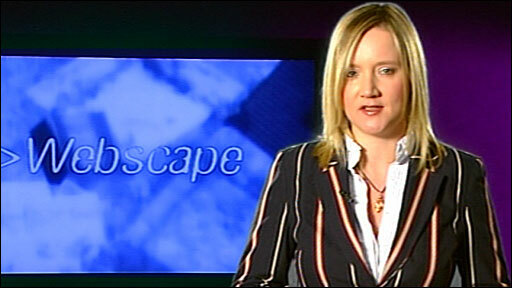 Sections include architecture, life and entertainment, plus fantasy and haunted castles. There is also a fascinating section on Count Dracula, his castles, and the horrific things he got up to within their walls. 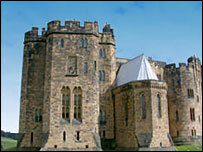 There is also information on castles currently open to public tours, and even to host a wedding. Once installed, this drive space manager shows how much data your internal and external hard drives, including pen drives and memory sticks, are carrying. This application is free to download, and it caught my eye because of its ability to see the makeup of the data. 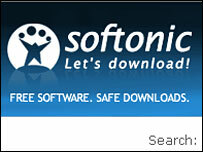 For instance, it shows what proportion are system files, downloads, documents, music or other file types. This is a very lightweight and intuitive piece of software. This flash site is bursting at the seams with great and highly addictive games. 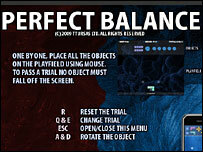 One example is Perfect Balance where the aim of the game is to balance the shapes perfectly within the play area. The music and ambient sound effects are really hypnotic, and the levels themselves get tougher and tougher. When you return to the game you can skip forward to the level you finished at last if you have cookies enabled.